Workplace Memories completed | In the Crayon Patch.. This quilt was such fun to design and make, and I am thrilled with the result. 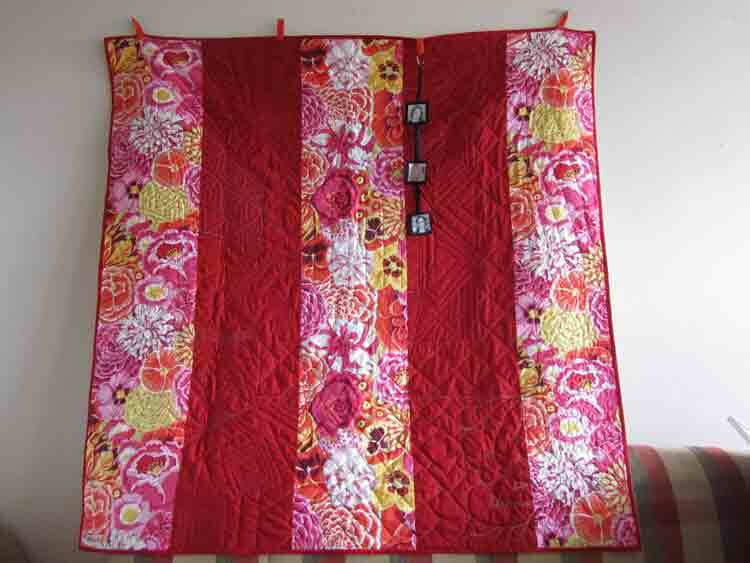 I gave my long-arm quilter, Deb from (Bloomin’ Quilts and Tangles) free rein for the quilting. There was so much white space, I thought a zentangle design would really celebrate that space. She did a fabulous job! 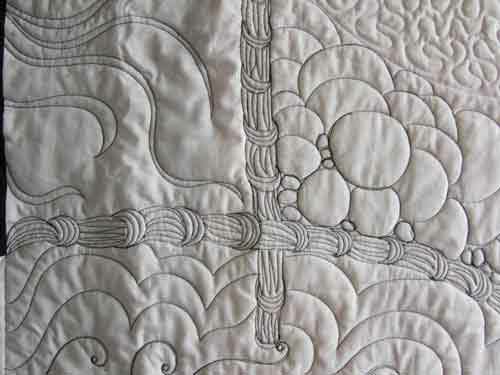 She used black thread in some areas, and white in others, in both the solid white and black areas. 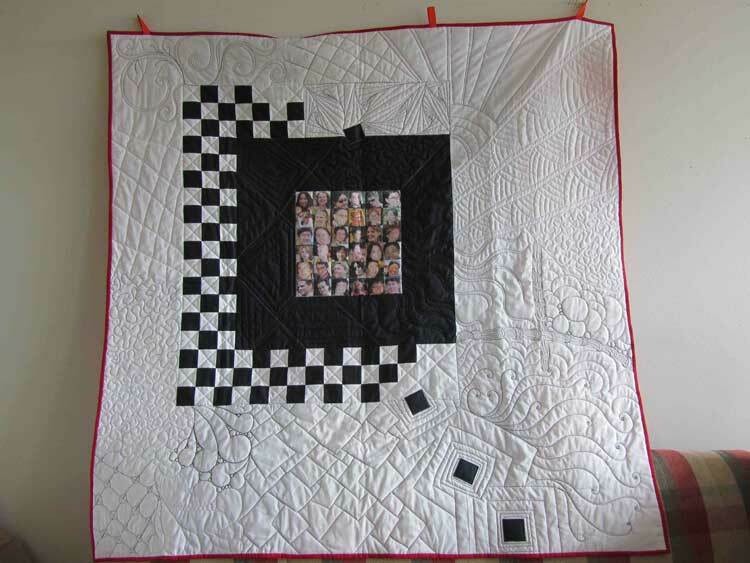 Here are some photos of the finished quilt..
Notice the 3 small photos near the top? These are a few people I had forgotten to include in the image area. I think it adds a nicely whimsical touch. They can be flipped to the front, as they just loop over one of the hanging tabs I made for hanging the quilt.